In his latest column, Omayr Ghani reviews the latest news from across the Irish sea. 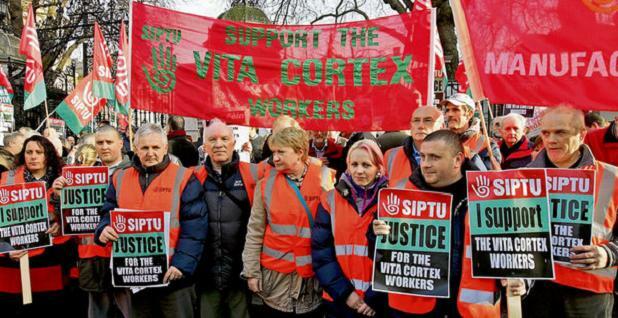 All 32 ex-workers have continued their sit-in for the 32nd day, at Cork’s Vita Cortex plant in an effort to win back a redundancy package promised to them by the firm’s owner Jack Ronan. The package offered the workers 2.9 weeks pay for every year they had been employed in the factory; this totalled to €1.2 million Euro with 60% being paid by the Department of Social Protection leaving Ronan’s burden at just €480,000. Though 2.9 weeks pay for-each-year-of-service is low compared to the recent redundancy deal average of around 4 weeks; the deal was accepted by the workers at the plant (many of whom had worked there for over 40 years) when it was made in mid September. On 16 December (the date when factory workers were made redundant), however, they were told the firm was unable to pay as it was still in negotiations with the National Asset Management Agency (a government owned “bad-bank”) over securing money for the redundancy package from assets of Ronan’s Vita Cortex Dublin plant that NAMA holds in order to secure other debts from him. Jack Ronan’s claim that he is unable to pay the €480,000 is undermined by the fact that he still holds directorships in 27 other companies; one of which – holding company Web Circle – owes Vita Cortex Cork 712,000 (unlike NAMA-held Vita Cortex Dublin which has no direct financial relationship with its Cork branch.) He has also given two senior executives lump sums of €250,000 each (the combined total surpassing the amount he owes the 32 workers by €20,000) in addition to full pensions. The parent company of Vita Cortex Cork; Vita Five Five (also fully-owned by Ronan) is also well positioned to pay the money though the company has refused to hand in its annual returns to the government since they were due last September and has been under no pressure to do so from the state. Recognising the ridiculousness of their former boss’s claim the workers commenced the sit in immediately after their sacking on December 16 and have continued it, with 3 shifts a day, ever since. SIPTU (the 200,000 strong Services, Industrial, Professional and Technical Union,) TEEU (the 40,000 strong Technical Engineering and Electrical Union) and Unite have organized rallies in support of the occupation the last being held last Saturday. The radicalism of SIPTU’s position in unfortunately blunted by its links to the governing Irish Labour Party and the corporatist recent history of Irish Trade Unions as a whole, thus there have been no calls for the government to put pressure on Vita Five Five to fulfil its legal obligation to file its accountsm, nor any demands for the government to save the workers’ jobs through nationalisation or proposals for solidarity actions by workers in Vita Cortex’s other factories in Belfast and Althlone. An aircraft used for transporting American troops was sabotaged last month. 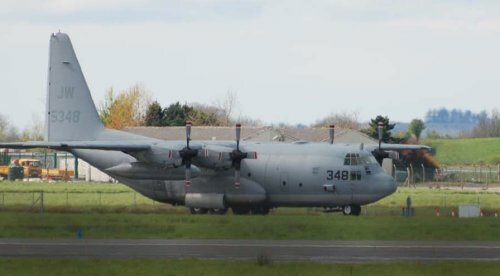 All four sets of landing gear were disabled and the words “‘Peace — US troops out” spray painted on the side of the plane at Shannon Airport, County Clare on 20 December with no claim of responsibility coming until 9 days later. Around 230,000 American soldiers fly to Shannon each year before going on to US military bases around the world (though predominately in Iraq and Afghanistan). 50 extraordinary rendition flights have also passed through Shannon; a fact that doesn’t just breach Irish neutrality but implicates the southern government in torture. As Europe’s westernmost Airport and one with enormous scope for expansion it is strategically important for the US military. Nevertheless 58% of Irish people oppose the use of Shannon by US troops travelling to and from Iraq. The Gardai are still investigating the incident and no one has yet been charged. This is only the third time there has been such a serious security breach at Shannon yet it has been treated with an almost complete media blackout in Ireland. In the two previous incidents; the first in January 2003 when a woman took an axe to the nose cone and fuel lines of a navy war plane and the second the following month when five members of the Catholic Worker Movement damaged a similar jet; all saboteurs were eventually found not guilty after Judges accepted their lawful defence that the actions were taken to prevent the loss of innocent life. The South’s High Court has rejected an application from the United States to extradite, two-time leader of the Workers’ Party, and former chief of staff of its paramilitary wing the Official IRA, Sean Garland over his alleged role distributing tens of millions of dollars worth of counterfeit $100 bills from North Korea to criminal gangs in Birmingham. The notes, known as “Superdollars” for their unique high quality, have been circulating in Ireland since the early 90’s (they were first discovered in Philippines in 1989 and have been suspected of originating in North Korea ever since) prompting Irish banks and money exchanges to refuse any $100 bills. Sean Garland first appeared in US intelligence reports relating to Superdollars in 1997 two years before Birmingham-based Alan Jones was caught on camera exchanging counterfeit notes at a bureau de change in Stafford as the result of a separate police operation. Jones and co-conspirator Terrence Silcock were also caught on CCTV arriving in Holyhead, Wales from an Irish Ferry carrying $250,000 worth of fake notes. In June 1999 Silcock and Sean Garland flew to Moscow on the same day. During the trip Garland was spotted entering the North Korean embassy by Russian police who had been tracking his movements. Moscow’s North Korean embassy is where almost all North Korean diplomats (among the few people allowed to leave the country) travel to before going further afield; defectors from the country have also claimed it is the central distribution hub for Superdollars. Sean Garland joined the IRA in 1953. A year later, after working as a mole within the British Army he masterminded a successful raid of Gough Barracks, a British base in the North, which would provide ammunition for the Border Campaign of 1956-1962, which saw the heaviest fighting between the IRA and Britain since the War of Independence. In 1969 after years of debate over the inability of the Border Campaign to rid the North of British rule; the burgeoning Civil Rights movement, and the deployment of thousands of British troops in August of that year to suppress that movement; a Leninist faction emerged, in which Garland was a leading figure, that supported the ending of Sinn Fein’s (the IRA’s political wing) abstention from the Southern and Northern Irish Parliaments (who the republican movement felt had usurped power from the revolutionary all-Ireland parliament of 1919-1921) and Westminster and a greater emphasis on controlling the Civil Rights campaign as a vehicle to establish an all-Ireland socialist republic. A vote took place in December of that year within Sinn Fein on whether to end abstentionism saw Garland’s faction successful in achieving the necessary majority of two thirds to overturn the policy. The next month voted on whether to back the party’s decision produced the same result. Angry at the overturning of what was perceived as a betrayal of a sacred republican principle and a gerrymandered ballot those who voted against the decision left the organization, with the blessing of members of the first Irish parliament, to form the Provisional IRA and Provisional Sinn Fein. Those, such as Garland, who stayed within the party, were known as Official Sinn Fein (later Republican Clubs in the North and the Workers’ Party in the South) and the Official IRA (OIRA). Whilst Garland’s army abandoned armed struggle against British rule it continued to pursue criminal enterprises, including bank robberies and money laundering, with an apparent blind-eye being turned by the security services as a reward for their ceasefire. In the south OIRA supported industrial action, and their political wing the Workers’ Party achieved electoral heights only recently matched by (Provisional) Sinn Fein becoming highly influential in the media and trade unions in the process. Garland became General Secretary of the Party in 1977. Tensions within the movement grew over secret and competing branches, some of whom were deeply hostile to republicanism as an ideology, and retarded the group’s efforts to become a “democratic centralist” organization in the Leninist tradition. It remained staunchly pro-Moscow however (likely the source of Garland’s KGB and North Korean links) leaving the party in a weak position following the collapse of the Soviet Union. The extradition request against him made in 2004 has been opposed by a wide array of the Irish political class; many of whom he has previously rubbed shoulders with, some of whom his party has previously called to be extradited to Britain. 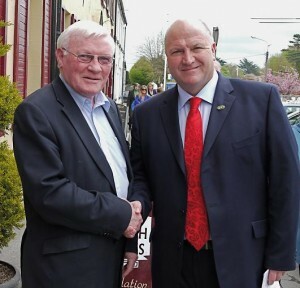 His support is based on the grounds of his poor health, the circumstantial nature of the evidence against him, the unlikely prospect of a fair trial in the US and the perceived undermining of Irish sovereignty that his extradition would entail. In January 2010 the Official IRA were reported to have finally decommissioned its arsenal (5 years after the Provisional IRA had done so) though their remains confusion over whether this was actually only carried out by an offshoot called the ORM and Sean Garland’s Workers’ Party linked faction remains armed. « Previous: Comment | Iraq – What was done in our name?